Heesen's all-aluminium Galactica SuperNova – at 70 metres, the largest yacht the yard has ever built – has been delivered after successful sea trials. 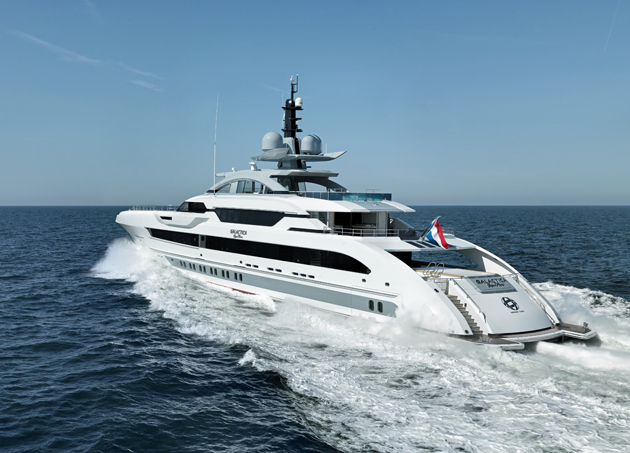 The 70-metre Heesen Galactica SuperNova, which launched in March and left the yard on sea trials earlier this month, has been delivered. 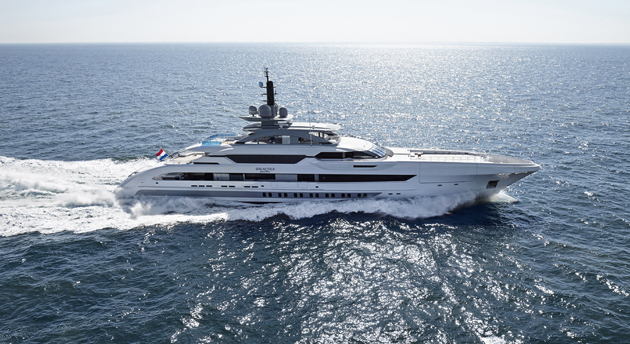 With a slender Fast Displacement Hull Form engineered by Heesen’s in-house team and naval architects Van Oossanen, Galactica SuperNova boasts a stellar top speed of 30.3 knots – 0.3 knots above the contracted top speed. Exterior styling is by Espen Øino. The yacht’s propulsion system comprises two MTU wing engines with fixed-pitch propellers and a third central engine with a Rolls-Royce waterjet booster – the first time such a configuration has been used aboard a superyacht, the yard says, and one which delivers an acceleration from 0 to 30 knots in 75 seconds. The yacht, which was built and delivered in 41 months, will appear at the Monaco Yacht Show in September. Her interior, by Sinot Exclusive Yacht Design, is a mix of light leathers and upholstery. Accommodation is for 12 guests.